Superdry men’s Travis skinny jeans. 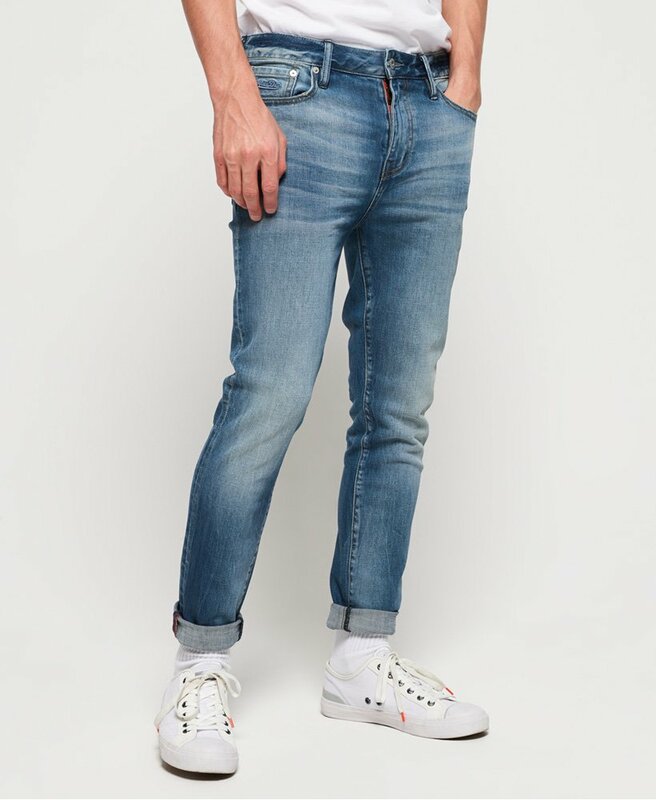 These jeans will become a fast favourite in your wardrobe this season, they are great day to night attire that can be worn with just about anything. These Travis skinny jeans feature tapered leg and feature a zip fly, a classic five pocket design and belt loops. These jeans also feature an embroidered version of the iconic Superdry logo on the coin pocket, a leather logo badge on the waistband and are finished with a Superdry logo patch on one of the rear pockets. Pair these jeans with a nice crisp shirt for a smart-casual look, or dress the jeans down with a tee and trainers for an everyday outfit.